The University of Plymouth has once again climbed the ranking of Stonewall’s Workplace Equality Index (WEI) placing 156 out of 445 entries. The University of Plymouth LGBT+ Staff Forum is delighted to announce that the University has once again climbed the rankings of Stonewall’s Workplace Equality Index (WEI) placing 156th out of 445 entries; the institution’s highest ever result against a record number of submissions. 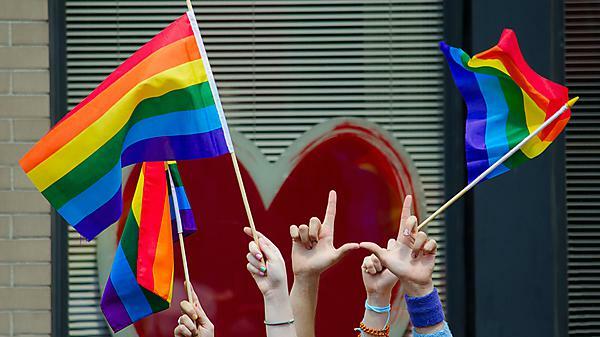 The University was ranked against a wide-range of organisations from multiple sectors through an evidence-based application process covering practice, policy and community engagement with the Lesbian, Gay, Bisexual and Transgender community. Organisations that enter the Index compile an evidence-based submission covering 10 different areas of practice from policy to community engagement. To complete the submission, Stonewall also seeks feedback directly from entrants’ employees through a survey covering key indicators of workplace culture. Submissions are marked by internal Stonewall experts, cross-checked and then ranked, with the top 100 organisations celebrated as Stonewall’s Top 100 Employers for LGBT+ people. Detailed feedback is given to entrants to help them plan their year ahead and further develop inclusive workplaces and services across Britain. The formation of an LGBT+ Allies network with rainbow lanyards available to all who signed up as a visible pledge of support. Hosting a lunch and learn for International Day Against Homophobia, Biphobia and Transphobia with the local LGBT+ community. Relaunching their Twitter page (@PULGBTForum) with a focus on celebrating a diverse range of events within the LGBT+ community and beyond. Supporting and staffing the University stand at Plymouth Respect Festival. Continued sponsorship and support of Plymouth Pride Festival including an opening speech by the LGBT+ Forum’s Senior Ally, David Alder. The LGBT+ Staff Forum will continue their hard work into 2019 and build on the success of their WEI result. As well as continually growing the LGBT+ Allies network and sponsoring Plymouth Pride Festival, the LGBT+ Staff forum are hosting a wide range of events for LGBT+ History month in February including a talk by internationally-renowned transgender activist, Jessica Lynn. The full list of events for LGBT History Month are available on the University’s Equality and Diversity webpages.